This Product Showcase is for our sponsors at RootAdmin. These reviews are intended to provide you with information on products and services that we consider useful and of value to developers. The popularity of high definition televisions, computer monitors and online streaming has caused the average size of multimedia files to skyrocket, and with it, the time it takes to convert those files. Files greater than a GB are not uncommon, and even codecs with optimizations for multiple CPU cores can take more than 20 minutes to convert those files from one format to another. One solution is to break up the file and convert each piece in parallel across multiple computers. For example, a file over 1.5 GB which takes over 30 minutes to convert on a single 8 core machine can be reduced down to ~5 minutes when spread across networked computers. The benefits of grid and distributed computing are well established and indisputable. However, implementing them can be a nightmare – converting audio/video files in separate chunks can result in video hiccups and out of sync audio – but not with LEADTOOLS! LEAD Technologies, Inc. has been a long time provider of programmer friendly DirectShow tools, processing filters and codecs. The latest additions to LEAD’s Multimedia product line are the Elementary Stream DirectShow Filters and Cloud SDK. Together, these technologies can create a powerful and robust solution for handling a large volume of multimedia transcoding jobs in less time and with more efficient use of computing resources. Windows Media Foundation SDK in development and coming soon! The example attached to this article emulates a server farm where each individual virtual machine (FrmTranscoder) is given a piece of the audio/video file to convert. The LEAD Elementary Stream Source and Writer filters intelligently choose and synchronize the split/merge points. They allow large files to be broken up, converted separately, and joined back together into a file that is indistinguishable from one converted by single process. Now that the source file is divided, each chunk can be divvyed up between the computers (in this example, FrmTranscoder). After each virtual machine has finished, the Elementary Stream Reader is used to combine them back together for the final result. Even on the same machine, the solution above can dramatically decrease the total conversion time since you can utilize more of the CPU. If more processing power is needed, the Cloud SDK provides an easy to use framework to manage distributed tasks among any number of worker machines. Though the attached example project is just an emulator, it can be easily ported to use the LEADTOOLS Cloud SDK where FrmMain and FrmSettings make up the central server and FrmTranscoder is refactored to a DLL that gets executed on each individual worker machine. 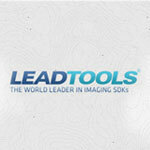 Multimedia/DirectShow Transcoding is only one of the many technologies LEADTOOLS has to offer. For more information on our other products, be sure to visit our home page, download a free fully functioning evaluation SDK, and take advantage of our free technical support during your evaluation.